At Construction Insure we understand legal indemnity insurance and what issues a legal defect can cause.We have access to all of the best insurers who will provide you with the best possible coverat the best premium, so you can carry on with your purchase or build. Whatever your legal indemnity insurance requirements, please get in touch today for a free no obligation quotation. Legal Indemnity Insurance is a policy that protects you if action is taken against you, regarding a legal defect. A defect could be, for example, a lack of planning permission for an area of land or a restrictive covenant, which could limit work being done on a property. When it comes to insuring a property, sometimes you have to consider existing issues, as well as safeguarding against potential problems in the future. If a legal defect exists, waiting for it to be resolved may not be an option. So, you need to make sure your build or transaction can still progress to your original costs and timing. This is where a Legal Indemnity Insurance can help you. It’s a policy used in conveyancing or property transactions, where there is an existing defect. A lack of planning permission, absence of easement or lack of building regulations approval are all defined as defects in this context. They are all issues that aren’t easy to resolve and, in some cases, can’t actually be resolved at all. At Construction Insure, we have many years of experience in protecting our clients from issues like these. There are different types of policies to cover specific risks, but they all ensure that you’re financially and legally protected. Why do you need Legal Indemnity Insurance? 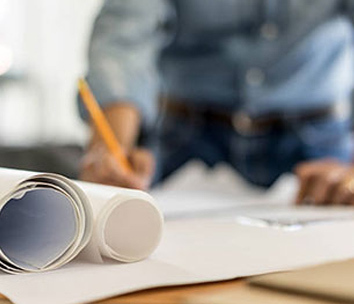 If a defect does exist, for example lack of planning permission, it leaves you open to repercussions which could be very expensive and time-consuming. In the case of an unauthorised house extension, the Local Authority could demand the removal of that addition to the property. They would require you to return the house to its original dimensions. A Legal Indemnity policy would not only protect you financially for remedial work, if that order was enforced, but it would cover your legal costs too. It would also make up the shortfall of any loss of value to the property, as a consequence of that enforcement. And, if that extension had, for instance, been built because it was necessary for children to have their own bedrooms, you may also be covered if removing the extension results in you having to move to a larger property. Another example is where the property has an absence of easement, such as restricted access to the land, in place. The policy would cover the cost of purchasing an easement. What are your obligations as an insured party? There are certain conditions you need to observe to make sure you don’t invalidate your policy. These are things we can, of course, help you with, but it’s worth being aware of them. Firstly, like any insurance policy, you have to take reasonable steps to avoid the possibility of a claim. That includes keeping the policy confidential. 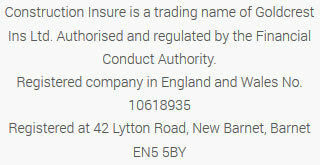 Once a third party who can take action against you becomes aware of the insurance, that unauthorised disclosure will invalidate your policy. So, you are obligated not to disclose the existence of a policy to anyone, apart from your Solicitor, mortgage lender or a potential buyer. An example of this is in the case of an absence of easement. If you were to engage with the land owner in order to purchase an easement, you may actually be making him aware of the easement. This may trigger a legal issue that, otherwise, may not have occurred. Your insurer may also have other conditions, such as requiring that you confirm the property has been occupied for a year and that no objections regarding the defect have been raised. You should also keep in mind that giving a false statement will void your policy and may even be viewed as an offence. One of the advantages of this type of policy is that there is only one premium to pay. There is no annual renewal of the insurance, as, in most cases, it applies in perpetuity. Which means that, when you sell, your buyer will be automatically protected by the policy. If the cover isn’t index linked, there may be a difference between the actual value of the house and the amount specified. However, with an additional premium, this difference can be accounted for.